Product categories of Vodka Bottle, we are specialized manufacturers from China, Vodka Bottle, Gradual Color Vodka Bottle suppliers/factory, wholesale high-quality products of Fruit Vodka Glass Bottle R & D and manufacturing, we have the perfect after-sales service and technical support. Look forward to your cooperation! Vodka is often called a 'neutral grain spirit' because the standard method for making it is by fermenting and distilling grain. This can be corn, rye, wheat, or any other grain that the distiller chooses to use. Vodka is the most common distilled spirit found in cocktails and mixed drinks, There are thousands of vodka cocktails to explore, which means marketing will play a necessary role in the Vodka selling, and what better way to grab attention than by having one of the coolest vodka glass bottles on the shelf? 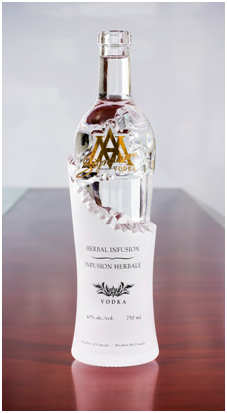 A fascinating look will give the customer a good impression, we are working on improving your vodka appearance by using our beautiful Glass Bottle.